I enjoy traveling but I do not look forward to going to the airport. I usually fly out of Los Angeles International, LAX for short, although there is nothing lax about it. Must always get there early so we can wait. Oh well, these days it could be a lot worse. It is the kind of place where you could use a stress management guide. I really don’t mind going through the security checkpoints, just a fact of life these days. Fortunately we have that fast pass / pre check that makes things a bit easier. Then it’s finding a place by the gate to wait. And wait. People watching can be entertaining, especially the stressed, the intoxicated and/or the families with little kids having conniptions. Once boarded and all the rigmarole is finished I look forward to the take-offs. Kind of a rush. After that comes finding something to stay occupied with for a few hours. In-flight movies can be entertaining, working on the computer gets old after a while, there’s always gazing out the window. Best to pack a mind machine on my carry-on. There are several reasons why I always bring my light and sound system on flights. It can help you sleep on a plane of at home. For more information about insomnia I recommend you take a look at this article: Beating the Demon of Insomnia. My mind machine’s headphones block out the noise, the lightframes block out the passengers and the audio/visual frequency stimulation coupled with my favorite playlist takes me on an inner-experience of complete R&R. When I’m traveling with a companion I always pack the extra user package so we both can enjoy a mind machine session simultaneously. My mind machine of choice is the DAVID Delight Plus by Mind Alive, Inc. Their headphones are excellent, their multi-color lightframes produce incredible visual effects, and the built-in sessions are very effective. So the next time you find yourself buying an airline ticket, spend a few dollars extra for a mind machine of your own. It takes the stress out of airports and travel. MP3s utilizing audio frequency stimulation for brainwave entrainment in the lower states of consciousness, low alpha, theta and high delta specifically, have proven quite effective while practicing yoga and meditation. As your brain is stimulated by the audio frequencies of the MP3 session, your mind begins to mimic the stimulation, becoming entrained to the frequencies as they gently lead your mind into deep states of mental, emotional and physical awareness. These audio brainwave frequency MP3 sessions easily download to your smartphone playlist or MP3 player and can be enjoyed either with your eyes open or closed to achieve maximum results during your yoga or meditative routine. And the volume should be just below the level of your hearing, set comfortably as your mind hears the stimulation but you are not consciously aware of the sound. Just remember playing these MP3s loud do not make them more effective. The 515 virtual mindmachine alpha (20:16 min), theta (10:10 min) and alpha / theta combination (7:10 min) features dual independent binaural beat frequencies and can be lengthened simply by pressing repeat on your playlist screen. All three sessions produce a feeling of profound relaxation and focused inner-awareness. The 515 LoopLogic series are much the same, also utilizing dual independent binaural beat frequencies, only the tracks are in 1 Hertz intervals allowing you to create specific frequency patterns that meet your particular needs. The Universal Frequency MP3 utilizes exactly what it says: the frequency of the universe (432 Hz) as the pitch. This is a multi-layered binaural beat session (17:44 min) for deep alpha and theta meditation. Created by Christopher Oliver and Michael Landgraf, the Universal Frequency MP3 is based on the scientific research that was unearthed by scholars studying the Great Pyramid of Giza and the five surrounding pyramids in Egypt. To assist you in the art of yoga breathing, our 12 minute Classic Pranayama Yoga MP3 combines verbal guidance with music, bells and the sounds of nature. The goal is, through breathing, to bring more oxygen to the blood and brain for achieving your highest level of self-purification and self-discipline. 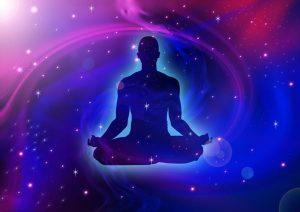 For accessing creative thought while deeply relaxed, our 20 minute Deep Meditation session is one of our most popular MP3s. Combing specific tones with music and the natural sounds emanating from lakes and their shoreline, listeners remark that they achieve a deep, rather hypnogogic state of yogic tranquility. There are times when a light and sound mind machine just isn’t necessary. Kicking back in a boat, wearing only a swimsuit and sunscreen, enjoying the moment with family and friends, is an example of not needing brainwave frequency stimulation. You are already in your desired state of mind. Ambergris Caye is a place you’d never come across a mind machine. They’ve got the world’s second longest barrier reef filled with all kinds of sea life crossing the horizon less than half a mile off their coast. They have Chicken Drop Night on Thursdays at Caliente’s. Perhaps the only place in the world where you can place a bet on which number a chicken will poop on. And win $1,000. The island is a paradise of simplicity, of smiling faces and laughter. The frequency of the universe is 432Hz and is one of the fundamental frequencies of universal oscillation. The ancient Egyptians understood this oscillation and it’s harmonic relationship to resonant tones as researchers discovered through their studies of the wind chambers found in the Great Pyramid of Giza. Ancient Egyptians understood the concept of universal harmonic frequency alignment and utilized their knowledge for the promotion of health and wellbeing. Michael Landgraf and Christopher Oliver have taken this understanding and applied this concept for use with today’s technology. Through this incorporation of ancient wisdom and neurotech design you are now able to experience the positive and beneficial effects of what the ancient Egyptians already knew and what many of us are just realizing: that frequencies can affect our brainwaves in a positive manner and can calm and relax the listener into a beneficial sense of wellbeing. Frequency generation for stimulating our mental, emotional and physical states of being can produce positive results. 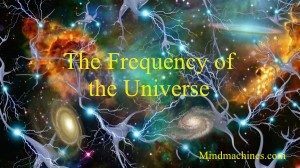 “The Frequency of the Universe” is a deeply layered binaural beat session with 432Hz as the pitch with multiple offset binaural frequencies designed to lead you into a deep alpha and theta brainwave state. This MP3 session is ideal for serious meditation and positive thought. 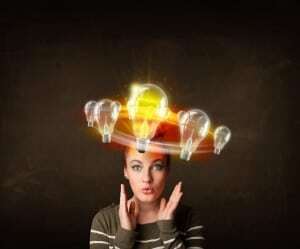 After viewing this footage and listening to the narration you will understand why we designed this unique and one-of-a-kind MP3 audio brainwave session. MP3 / Length: 17:44 minutes. Relajacion is a two session downloadable MP3 that is 53 minutes in length. 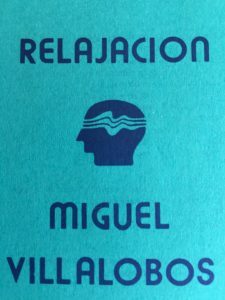 Spoken in Spanish by Miguel Villalobos, this MP3 gently guides listeners into alpha, theta and alpha/theta states using binaural beat audio frequencies and spoken word. Stressful situations are a part of everyday life. How it affects our health is largely dependent on how we respond. The stress quiz is designed for you to better understand how well you manage stress. When answering, try to be as honest as possible in each of the situations. There are no right or wrong answers. In the 1980’s the late Dr. Gayland Hurst worked with the City of Little Rock, Arkansas to show how relaxation techniques, including light and sound frequency stimulation, could boost employee performance, increase creativity, employee harmony and productivity while decreasing employee absenteeism due to stress-related illness. Through illustrating in real-time the benefits and cost-effectiveness of incorporating mind machine neurotechnology into the workplace Dr. Hurst was able to prove that relaxation methods have a positive effect in the workplace environment. Today we need workplace outlets, areas dedicated for relaxing a few minutes, a place where you can go to mentally reboot. Employees need focus – not constant distractions – to be competitive and creative. Stress causes a high rate of illness. That costs everyone. Having a stress-free zone makes sense. 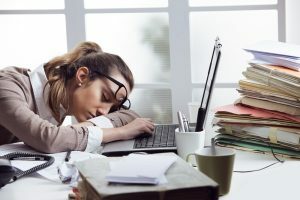 If you have trouble sleeping at night, are anxious and grouchy, over-eating or experiencing high blood pressure… all that can be attributed to stress. Our mental, emotional and physical states are all interconnected so when sometime is bothering you mentally, it can manifest into something emotional or physical. Don’t let the stressful nature of your workplace damage the love you have for the career you’ve chosen. Read what CEO’s of major corporations think of practicing various forms of relaxation during the day. Just 15 minutes is all it takes. They realize this is only the beginning, but feel this newfound realization will rapidly expand as more people learn of the advantages. But until that massive realization occurs, you need to take care of yourself. Don’t let stress ruin what you enjoy. Use a mind machine. Very unobtrusive, no effort needed on your part, just a 10 to 15 minute session while you sit at your desk. Mind machines are the best afternoon tool for feeling refreshed and focused. Feel instant relaxation with a mind machine. One fifteen minute session is all you need to lower your stress. Meds take longer to kick in! 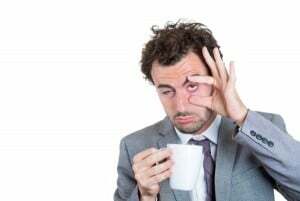 Stress keeping you from a good night’s sleep? For those of you who have been told to try meditation for your stress but are too busy to meditate or fall asleep every time you try, use a mind machine. Its stimulating your mind with immediate gratification. The tightness lifts away and you can once again think clearly. Without stress, here are three things that can be done better: be more productive at work, get better grades in school, and increase family harmony. And that’s just the tip. Try using the DAVID Delight Plus by Mind Alive or the Kasina by Mindplace. Powerful systems – built to last a lifetime. Whether you choose white light stimulation or multiple colors, the sessions contained in these mind machines have been tested, researched and proven beneficial. Both systems come complete. For more information on Stress contact Mindmachines.com. There are two reasons why I purchased the Kasina light and sound mind machine by Mindplace. First, I am facing a medical procedure for a cancerous tumor that will require eight to twelve weeks of recuperation. I want to have a non-medicinal modality for pre- and post-op recovery. I’m no fool, listening to my doctors, will take the prescribed meds, well most of them, but find using my Kasina before this operation reduces my anxiety level and I feel much less anxiety in the days before this procedure occurs. I also feel using the Mindplace Kasina as part of my post-op routine will boost my ability to heal more quickly. It definitely made a positive impact on my post-op treatment program when I had my hernia repaired three weeks ago. It took a little more than half the time for my balanced feeling of wellness to return rather than what my physician said I should expect. The second reason for my choosing the Mindplace Kasina was for meditation. Both guided and non-guided inner quests for deep, creatively visual meditative experiences. I am a stressful person by nature, always seem to need to be worrying about something, but the Mindplace Kasina available through Mindmachines.com produced some very positive mood shifting effects. And those effects didn’t just disappear at the end of a Kasina session. I was aware of the mental and emotional sensations for hours afterwards. These sensations had a positive impact on how I felt physically. If you are facing a medical procedure involving several weeks for recuperation I highly recommend the Mindplace Kasina that is available at Mindmachines.com. You may experience a quicker recovery period, less dependence on pain medication (prescribed pills) and maintain a positive mental attitude. AWARE SQUARES and LIQUID CRYSTAL GSR. Much like a thermometer, they accurately monitor your system’s blood flow and allow you to view your body’s physical response to daily stressors. Aware Squares are completely safe when affixed to any external part of the body. We recommend placing them on one of your hands, at the base between your thumb and forefinger. This will allow for maximum viewing. Another placement suggestion is affixing an Aware Square (or Liquid Crystal GSR) on the inside portion of your wrist. By placing clear adhesive tape over the square and gently affixing both ends of the tape to your wrist, the Aware Square can stay on for hours. It is very simple to apply the Aware Square. Gently bend a square between thumb and fore finger to peel off the white backing, allowing the adhesive to show. Then affix to skin area by lightly pressing. There are times when the effects of a light and sound session can be very subtle. Our mental, emotional and physical response to the session can be difficult to determine. This is one example of how Aware Squares can prove valuable. Before you begin a session, place an Aware Square on your hand. Allow 2-3 minutes for the square to activate. Observe the color of the square. Experience the session. Upon session completion, again observe the square. Did the color change? Are you mentally aware of any differences? Quite often, utilizing Aware Squares as a “before and after” indicator will help us become mentally aware of the changes we experience from a light and sound session. Another facet of Aware Squares are the edges. There will be occasions when your Aware Square will be one solid color. Other times, you will notice that the edges are a different color than the center portion. This is an excellent indicator of which direction you are headed in. For example, say your square is green, representing a “normal” state, but the edges are blue. This tells you that you are in the normal mode, but are leaning towards a more tranquil state. Likewise, if the middle is green but the edges are yellow, chances are you may be getting a bit tense. Just as our awareness to the benefits of a light and sound session can be heightened through the use of Aware Squares, so too can we become aware of our response to daily stress. Wear an Aware Square at work or school. What situations cause the square to lighten? Being aware of your physical response to stress will allow you to take action, to safeguard against the negative effects of stress. Aware Squares were tested at and work best in an environment where the temperature is approximately 73 degrees Fahrenheit. We recommend placing them at the base between thumb and forefinger for maximum viewing. Simply squeeze AWARE SQUARE with thumb and forefinger to peel off backing and affix to skin area by gently pressing. Allow a few minutes to pass, then view your AWARE SQUARE. Compare color to interpretation chart. Liquid Crystal GSR: Remember Mood Rings? How about Biodots and more recently Aware Squares?Liquid crystal sheets are the same thing! They are an effective, reusable and cost-effective means for determining your physical state. Many of us who use light and sound instruments would like GSR devices to measure our physical reaction to states of stress and relaxation, but the only choices available outside of spending a couple of thousand dollars are audio-based / tone-stimulated units that are battery operated. And most of them are pretty good. But what about those of us who prefer visual stimulation over audio, and want it fast. Liquid Crystal GSR is the perfect indicator of how you are affected by a light/sound session. Place your hand on the sheet, count to 30, remove your hand and compare it to the color interpretation chart. Do the same right after the session and see if any changes occurred. Very basic method, and accurate. Liquid crystal sheets are quick acting and provide an accurate gauge for monitoring blood flow and physical stress. These sheets are a versatile and economical tool for those who are personally concerned in controlling stress and pressures encountered in their daily lives. Each sheet is 12″ x 12″ with a peel-off backing and can be easily cut with scissors. By cutting into small squares and peeling off the backing, you can adhere the liquid crystal between your thumb and forefinger for an indefinite time (just like Aware Squares). This allows you to visually track your physical responses to stressors when it matters most. For example, any golfers out there? How’s your putting game? Do you inhale or exhale before you putt? Visibly check your physical state as you play your round. Be aware of your physical responses to how you play, it could lower your score. And what about students studying for an exam? Studies have shown being in a relaxed state is more conducive to learning than being anxious. Having a liquid crystal square affixed to your hand could help you in maintaining a more relaxed and focused state. Liquid Crystal GSR is available in three different temperatures: 68-77 degrees Fahrenheit (changes color at a transition point just about equal to room temperature); 77-86 degrees Fahrenheit; 86-95 degrees Fahrenheit (changes color just slightly below body temperature). Each sheet is 12″ x 12″ and comes with an adhesive, peel-off backing.